With mass shootings on the rise, several states have begun establishing stricter gun laws. Some have banned assault rifles and assault handguns. A few states also limit the number of rounds a magazine can hold. Below we have listed the top seven states with strictest gun laws in place. Anyone gun owner who plans on traveling to another state, regardless of how short the visit is, must be aware of that state’s gun laws to stay out of trouble. California requires universal background checks on anyone who wants to buy a gun. The state prohibits domestic violence offenders and high risk individuals from purchasing guns. High capacity magazines and assault weapons are also banned in California. Another strict rule of buying firearms there is you need to go through a California-licensed dealer. This state often ranks first on states with strictest gun laws lists. Massachusetts is one of the states with strictest gun laws because they make the process of obtaining firearms and related supplies complex. You need to have a specific card or license to buy a certain type of gun or accessory. Examples include handguns, rifles, shotguns, large capacity feeding devices, ammunition, and large capacity firearms. If you are a non-resident visiting Massachusetts, you must apply for a temporary license to bring a gun. Although 24 states honor a Massachusetts permit, the state doesn’t honor any permits aside from its own. As a state that limits magazines to 15 rounds, New Jersey is definitely one of the top states with strictest gun laws. Lawmakers want to reduce it to 10 rounds, so the law may change after the time of this writing. In order to possess a handgun, including an antique handgun, you need to have a permit to carry. For rifles and shotguns, you need to have a firearms purchaser identification card (FID). Open carry isn’t allowed in New Jersey, but you can carry a gun on your person inside a liquor establishment. Similar to Massachusetts, New Jersey doesn’t recognize carry permits from any other state. 24 states honor a New Jersey carry permit. Maryland limits handgun purchases to one per month. as many states with strictest gun laws do. You need to be 21 or older to buy a gun in this state. The law requires child safety locks on all guns. A permit is required to purchase handguns. You must also give your fingerprints, undergo a background check, and take training. Active duty and retired military are allowed to obtain a gun without a handgun qualification license. Active and retired law enforcement with department credentials are also exempt from needing a handgun qualification license. Anyone who has committed a Maryland-classified felony, conspiracy to commit a felony, or crime of violence is banned from owning firearms. Habitual drunkards and drug addicts can’t own a firearm either. In Illinois, you must show your firearm’s owner’s identification card (FOID) before purchasing ammunition or firearms. The law requires sellers to wait 72 hours before delivering a handgun to the buyer. For rifles and shotguns, the seller must wait 24 hours before delivery. 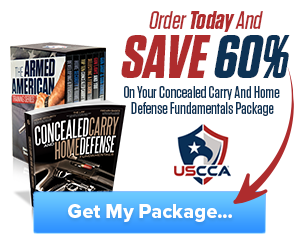 A little more lenient than New Jersey and Massachusetts, Illinois allows non-residents to carry a concealed firearm in their vehicle if they have a carry permit in their home states. Open carry isn’t legal in Illinois for anyone. You must keep your firearm concealed. 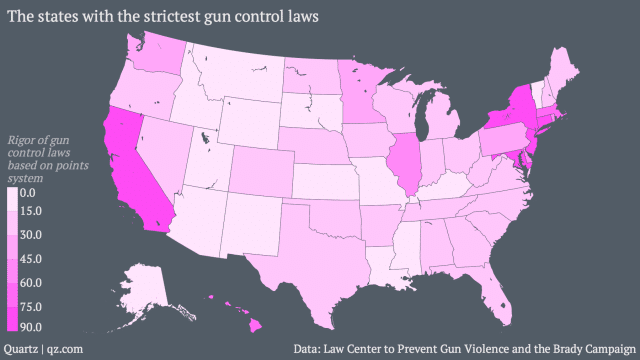 Connecticut has many of the same strict gun laws as California. The state banned assault rifles after the Sandy Hook tragedy that occurred in December 2012 in Newton. Adam Lanza, a 20 year old, shot his mother at their home and then shot 26 people at an elementary school. He committed suicide before he could be arrested. Connecticut, however, still allows concealed carry as well as vehicle and open carry. Some zones are gun-free zones, so make sure you check before bringing a gun with you. Although assault weapons are legal at the time of this writing in Colorado, they are one of the states with strictest gun laws. Colorado doesn’t have “stand your ground” as some of the lenient states do. But the state allows you to carry a gun on your person or vehicle for lawful protection of yourself, other people, and property. Although you can have a loaded handgun in your vehicle, you aren’t allowed to carry a loaded long gun in your vehicle. Convicted felons, people who are on probation, and juveniles who committed a crime that would count as a felony if they were an adult are banned from gun ownership in Colorado. The seven states listed above are easily considered having the strictest gun laws. Many of them have limits on how many firearms you can buy each month. Some even restrict magazine round count. As always, you should check the gun laws of any state you travel or move to when you plan on bringing a gun with you, even if it’s an antique one. For those who are interested in living in a state with tough gun laws, then the seven above are some of your top choices. Hey Buddy!, I found this information for you: "7 States with the Strictest Gun Laws". 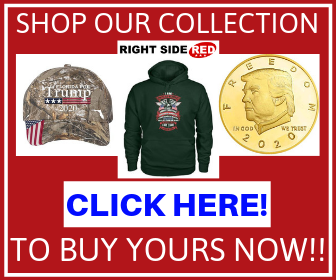 Here is the website link: https://thegunrights.com/states-with-the-strictest-gun-laws/. Thank you.